Newark is a village in Wayne County about 30 miles southeast of Rochester and 20 miles north of Geneva. The personal injury and medical malpractice lawyers of Michaels & Smolak have represented many clients from the Newark area, including recently a woman who fell on black ice in a parking lot, which aggravated pre-existing injuries and required surgery. Michaels & Smolak has law offices in Syracuse and Auburn. 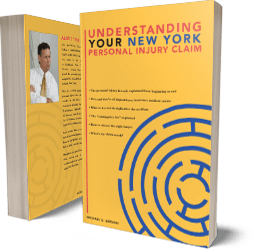 One of the firm’s lawyers, Mike Bersani, lives in nearby Geneva, and meets with his Newark personal injury clients at their homes, or at law offices in Geneva, as the client prefers. Most of the firm’s injured clients from Newark are referred to the firm by local lawyers who respect and appreciate the firm’s documented success in handling accident and malpractice cases. Former clients also refer many of the firm’s new clients. This is a testament to the satisfaction former clients have with the firm’s representation of them. The firm’s lawyers offer free telephone consultations regarding personal injury and medical malpractice cases.